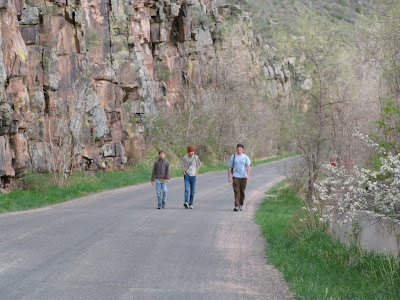 On April 26th, Joel and I went on a DFO/BBC field trip led by Christian Nunes to Dowdy Draw, just south of Boulder. Our parents dropped us off at the Dowdy Draw Trailhead at 8:30 AM and went off to take a good brisk "non-birding" hike. 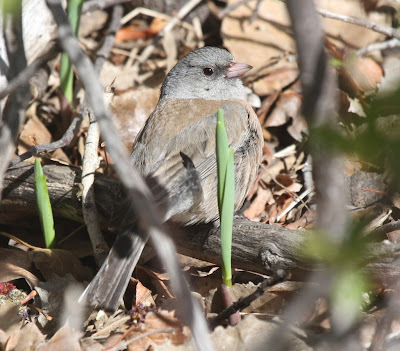 Even with the fierce wind, we still found a Green-tailed Towhee, a Blue-gray Gnatcatcher, and a couple of Northern Rough-winged Swallows, plus a flock of Mountain Bluebirds, a few Spotted Towhees, and a very entertaining American Kestrel. 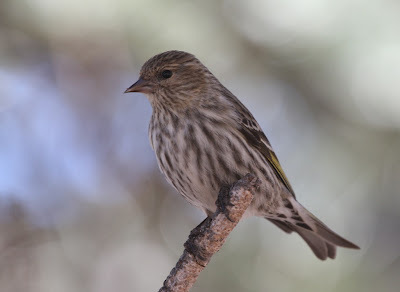 At the Mesa Trailhead across the street, we found a few Pine Siskins, American Goldfinches, and a Pink-sided Junco. After an hour or so of birding in the foothills, we went down to Baseline Reservoir to look for some White-winged Scoters that Christian had found a few day ago. Our parents weren't done with their hike yet, so we caught a ride with Christian. 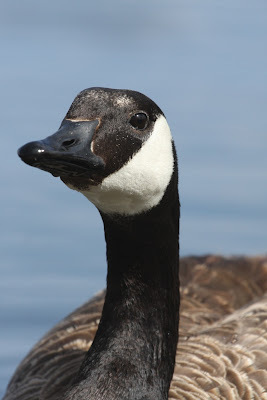 We succeeded in finding only one immature male scoter, but we also found a Common Loon and a Swainson's Hawk. There was also an immature Bald Eagle hunting for coots on the lake. Next we went to Walden Ponds, where our parents finally caught up with us. Highlights from Walden: tons of American White Pelicans, a PEREGRINE FALCON, a Semipalmated Plover, two Solitary Sandpipers, tons of swallows (Tree, Rough-winged, Cliff, and Barn), and a male Yellow-headed Blackbird. Joel and I saw a total of 33 species here in just an hour. On to Prince Lake #2 in Erie to look for a flock of hundreds of White-faced Ibises plus a Glossy that had been reported here earlier. There was absolutely no ibis there. Our parents went on home and we birded with Christian the rest of the afternoon. Our next stop was at Boulder Reservoir to look for shorebirds and a couple of Sandhill Cranes that had been reported yesterday. We struck out on the cranes, but there were a few shorebirds to keep us busy. There were twenty (!) American Avocets, a few Willets, and three Marbled Godwits. 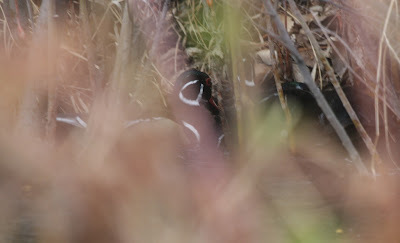 Also, in a raft of coots we found twenty Ruddy Ducks, a few Western Grebes, and a Pied-billed Grebe. After Boulder Res I talked Christian into stopping at Lagerman Reservoir where there had been some Black-necked Stilts reported lately. We didn't see any stilts, but we did find a LONG-BILLED CURLEW!!! It was a county bird for Christian, and a state bird for us. We then went to Pella Crossing, where a Northern Parula had been reported yesterday. When we got to the woody area where the parula had been seen, we ran into Walter Szeliga who had seen it a couple of minutes earlier. We continued to search for another half-hour, but we were unable to relocate it. We did find a Myrtle x Audubon's Yellow-rumped Warbler hybrid, and Walter turned up what appears to have been a Virginia's Warbler. 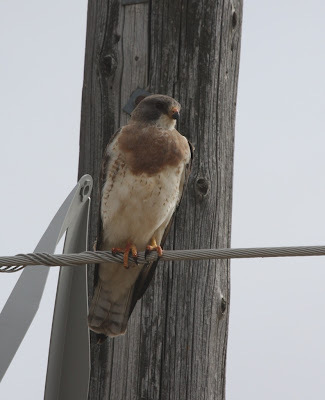 On the way back out we found a Swainson's Hawk perched on a power pole, which posed for some pictures. 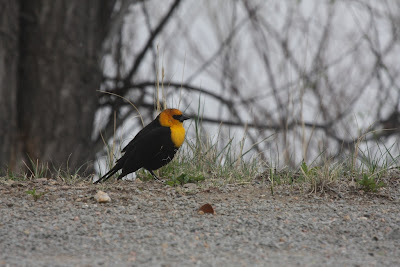 Our last stop was one of our typical birding spots, Old South Saint Vrain Road in Lyons, where we saw a Great Horned Owl, Violet-green Swallow, and a American Dipper. It was a fun day. On the 25th of April, I (Joel) birded Stonebridge Farm. Highlights were Wood Ducks in one of the canals, the resident Great Horned Owl, a flock of fly-over Franklin's Gulls, and nine fly-over White-faced Ibises. The birding around our house continues to be good. Water is flowing and Boreal Chorus Frogs are calling. On April 21st, we had two new yard birds . . . a Wilson's Snipe and a Vesper's Sparrow! 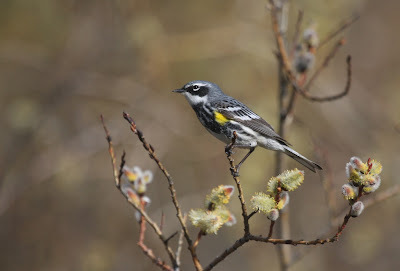 On April 22nd, we had 30 species for the day, which is our biggest one day yard list yet. We also had our first of year Broad-tailed Hummingbird. On April 23rd, we saw three new yard birds . . . Hermit Thrush, Lincoln's Sparrow, and fly-over Double-crested Cormorants. One of the cormorants had a breeding double white crest. With the blizzard that came through over the weekend, we've seen some cool storm refugees down along our creek. A male Red-naped Sapsucker definitely takes the top of the list as a highlight, being a new "yard bird," a species we have never before seen on our property. Joel found it on Friday, during the "rain/sleet" stage of the storm, in a small Ponderosa Pine just upstream from our house. He also found three male Ruby-crowned Kinglets and a House Wren. Our parents kept us very busy with an indoor project on Sunday when most everyone else was out birding and getting some nice species counts (up to 90)! 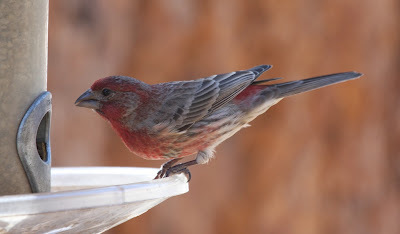 We escaped our tasks for a while when our neighbor called to tell us that she was looking at a finch, which she thought might be a Rosy Finch. 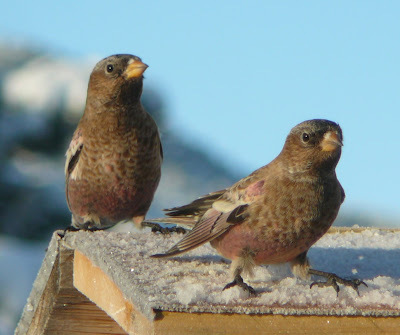 She sent the below photo for our opinion and that prompted us to walk over to her house hoping to see this single Brown-capped Rosy-Finch. 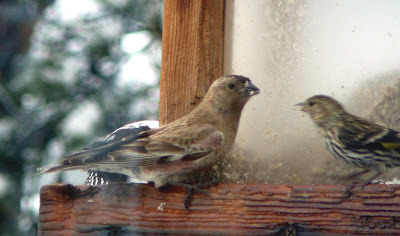 It never reappeared, but we watched her usual common feeder birds. 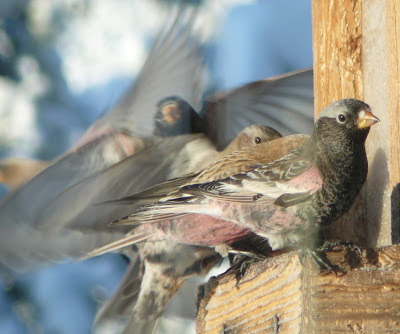 In December of 2006 Laurie had a whole flock descend on her feeders and stay for two days. They were great fun to watch and we've included some of the old photos and video footage along with a photo of this years single visitor. It's been a while since we've posted anything. We've been journaling, not blogging. Since our last entry, we've seen some cool birds. April 2nd - Walden Ponds. Here's what Marcel wrote at the time: "Migrants are starting to come through Colorado! At Walden Ponds on Thursday, the 2nd of April, this was starting to become evident. Among the highlights from that day were two American Avocets, a Wilson's Snipe, a pair of Cinnamon Teal, a couple of Killdeer and a MEW GULL!!! There were also a bunch of Redheads in Wally Toevs Pond. 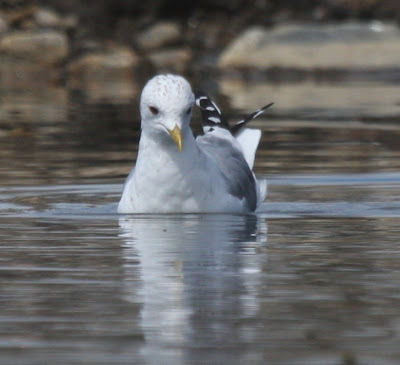 When we were here on Tuesday, the 31st of March, the highlights were one American Avocet, some Killdeer, a male Blue-winged Teal, a male Blue-winged x Cinnamon Teal hybrid, and a Franklin's Gull." 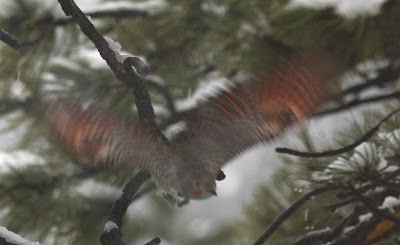 April 3rd - Joel wrote: "On our way back from town, there were about 40 Mountain Bluebird's flying all around the ground and fence posts at the bottom of Spring Gulch! They looked like shards of the sky fluttering all around!" April 6th - A big day at our house totaling twenty species! 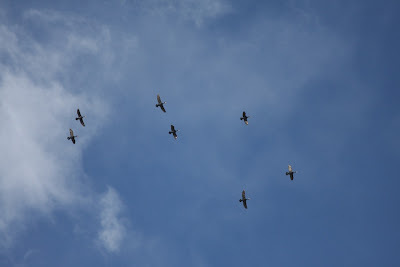 Highlights were first of season Turkey Vulture, a Cooper's Hawk, Western and Mountain Bluebirds. 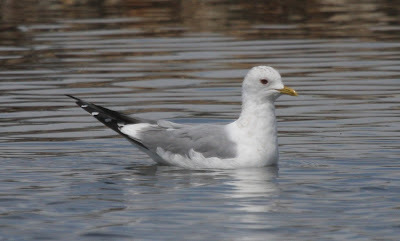 April 10th - We birded some of the local lakes between Lyons and Longmont. 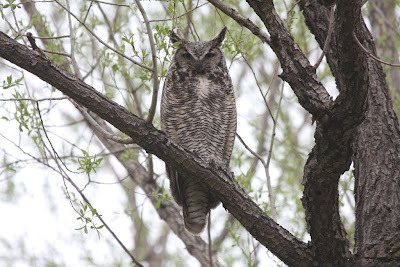 Highlights were a Great Horned Owl, Common Grackles, and Common and Hooded Mergansers. April 11th - Joel mostly birded at Stonebridge Farm, with the exception of his planting a few onions before the birds called him again. 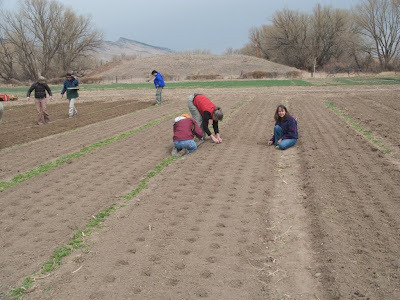 The rest of us planted thousands of onions and leeks. 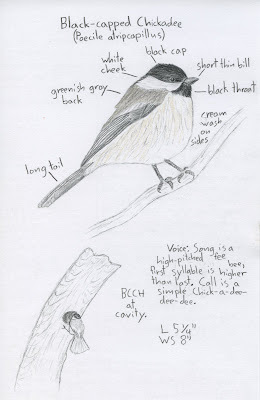 His highlight was a pair of Black-capped Chickadees going in and out of a nesting cavity. 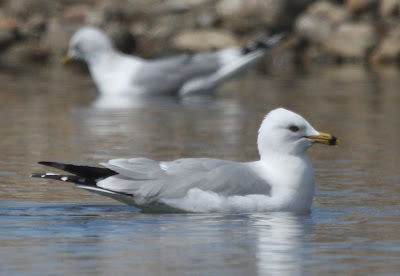 April 15th - Tax Day for most of you, but another birding day for us! We birded around Lyons, while Mom was volunteering at the hospital with our dog, Kelly ... a therapy dog. Highlights were a Golden Eagle, first of season White-throated Swifts, and an "Audubon's" Yellow-rumped Warbler along with a flock of American Goldfinches.